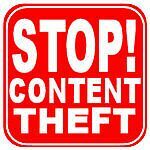 Links to copyright laws in Australia, USA and UK. For the sake of organization, information and links contributed by members will be, periodically, sorted and placed in the proper forum. We may, in the process, eliminate some of the text that was included with the information, but credit for the contribution will be given. Group hosts are not attorneys and do not dispense legal advice. We offer resources only. All violations involving RB members should be reported to RB admin using the REPORT button under the image or entry and bmail for other types of violations. This group addresses external violations only. All images added here belong to the copyright holder and are part of a current discussion concerning a violation by a person or site outside of RB.